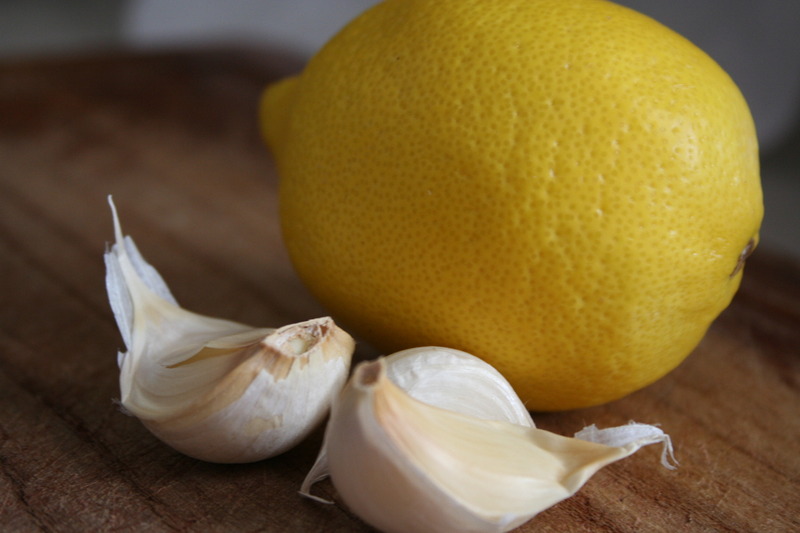 30 cloves of garlic with the skin peeled off, 5 organic lemons (do not peel skin off) and 1 litre of water. Place all ingredients in a blender/mixer to make a puree and then pour contents in a pot and bring to boil. On the first boil, turn off the heat and let it cool. After cooling, pour the contents into a jar and refrigerate. Some suggest straining the mixture but this is very difficult to do. Just ½ cup a day before or after your main meal is enough to attain your goal. Continue use for three consecutive weeks and then rest for a period of eight days. Repeat for the second period, taking three weeks on, eight days off. Other sources suggest taking a liqueur glass or about 30 ml of the mixture once or twice a day with a meal for 3 weeks. For those who are concerned with the smell of garlic, do not worry because you will not chew on garlic and since this is liquid meal, it will not smell bad. According to the paper I first found this recipe on, the recipe was shared at a cardiac conference in Geneva. It had been administered by a nurse at a U.S. Base hospital to all people who had suffered heart attacks. This cheap, safe and therapeutic course can be repeated every six months but won’t hurt if taken more often. A friend of mine is doing it for the second time in succession and he has experienced an increase in energy and many liver spots have disappeared.